Stance: Weight balanced on the balls of the feet, front foot at 45 degree angle forward, back foot perpendicular. The forward arm's elbow is at a 90 degree angle with the hand roughly level with the shoulder, holding a knife in a reverse grip (blade towards the forearm), ready to slash, parry, or strike with the pommel. 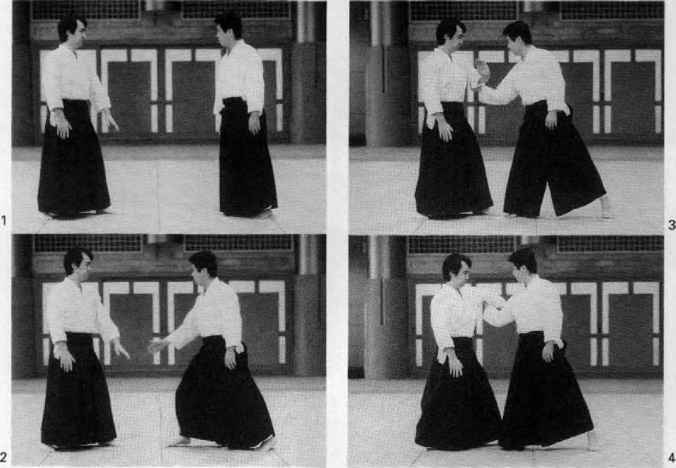 The back hand is drawn across the body, about chest level, with the other knife held in a normal grip, ready to thrust or stab.